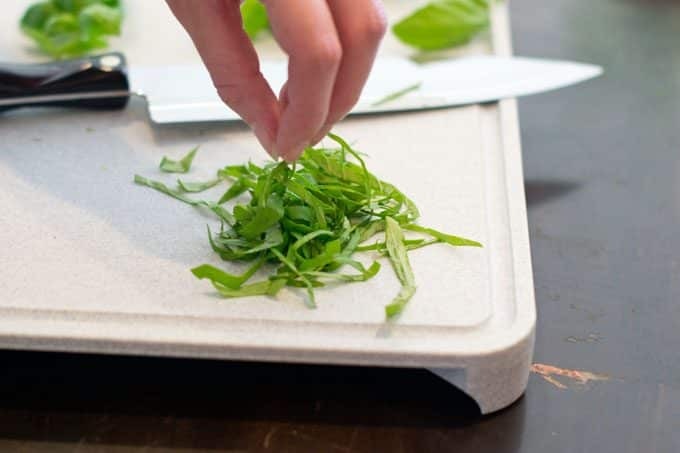 Fresh herbs add a wonderful flavor to recipes. 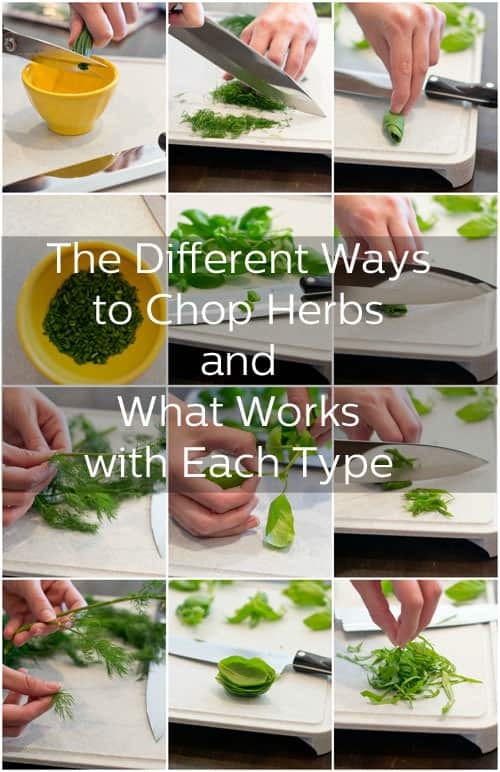 There are a few different types of herbs which require different techniques to chop easily. Today we are going to be focusing on three: chives, dill and basil. Each of these herbs can be found in the produce section of your grocery store. 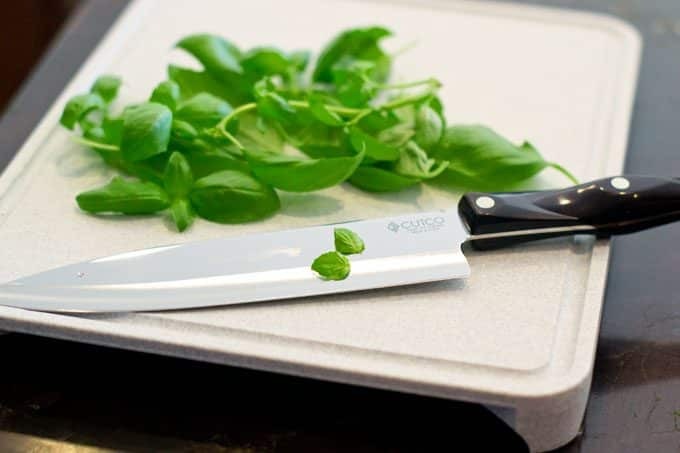 The Cookful kitchen likes to keep a big pot of basil on the counter because we use it so much. A little bit of sunlight and some watering and you’ve got yourself a wonderful basil plant. Our first herb we are going to be preparing is chives. Chives taste faintly like onion and are great paired with potatoes, fish and soups. 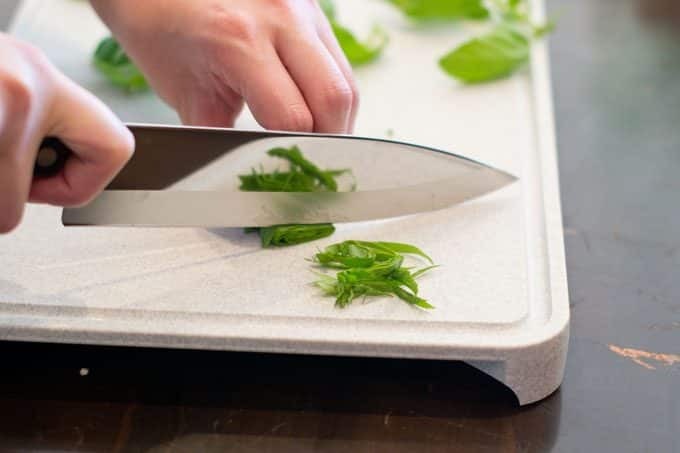 This method for chopping herbs works for herbs that are not super-prone to bruising, like tarragon, dill, parsley and rosemary. 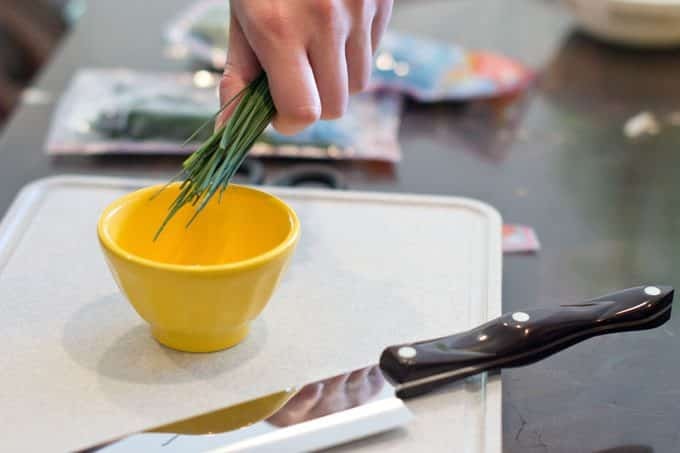 Grasp the bundle of chives in your hand over a small bowl. 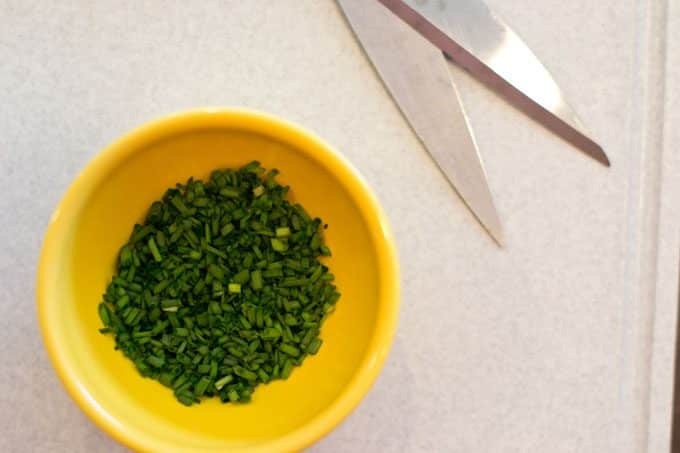 Using sharp kitchen shears, sip of small segments of the chives into the bowl. 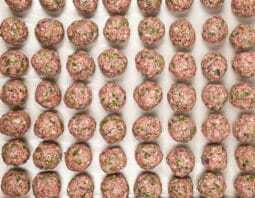 We like to keep the chives cut rather small and delicate. 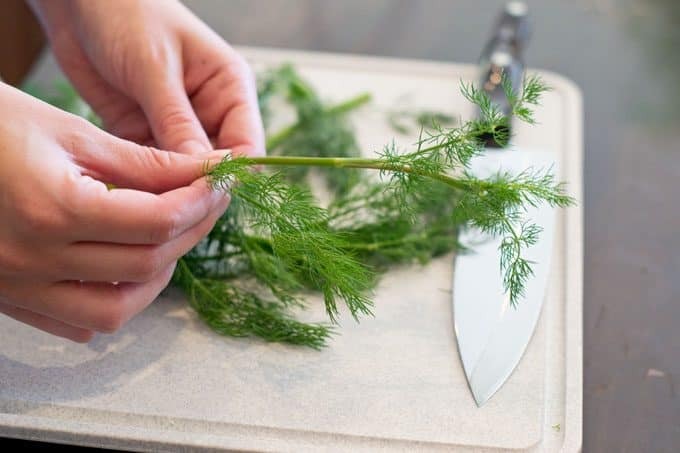 Next up on our herb chopping adventure is dill! Dill is a very aromatic herb commonly used in gravlax and in pickles. 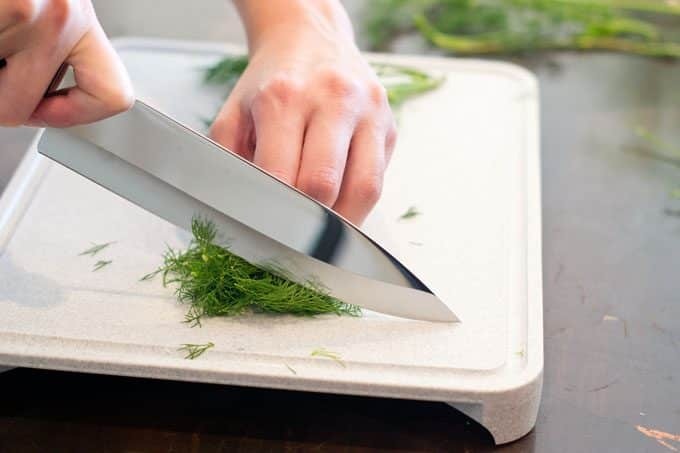 While you can snip dill away from the hard stem using kitchen shears, we usually chop it with a sharp chef’s knife. 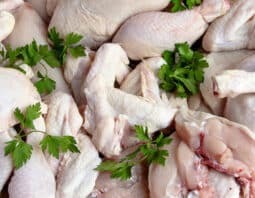 This method of essentially rough chopping herbs works for herbs that don’t have larger leaves and that you need to separate from stems before chopping, like dill, rosemary, thyme, parsley and oregano. 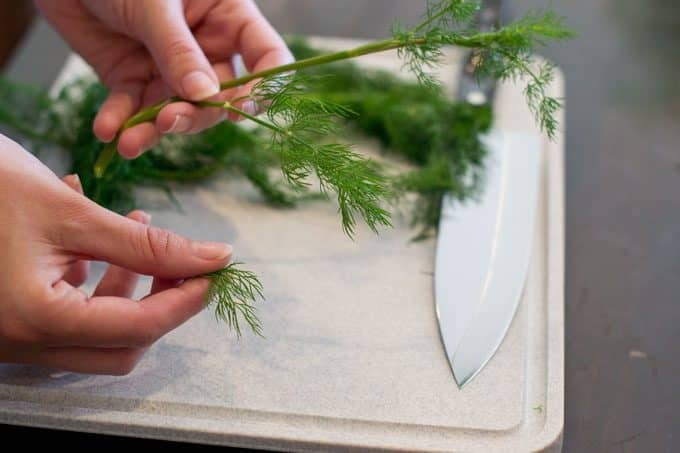 Remove the fern-like leaves from the stem using your fingers. 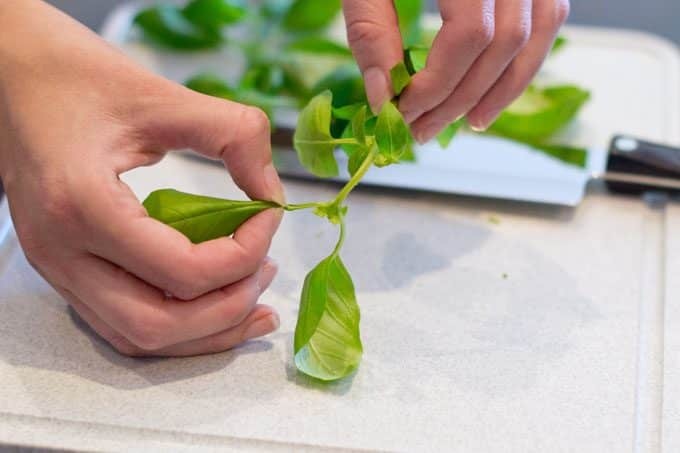 The easiest way to do this is pinch the leaves between your fingers and work against the natural line of growth. 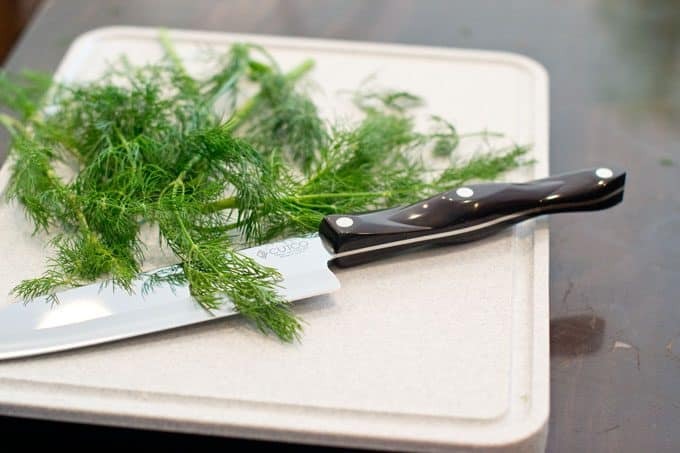 Bunch the dill in your hand and use your classic chef’s knife to chop finely. 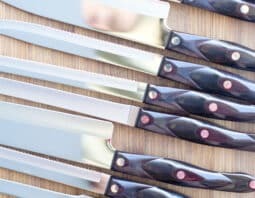 Use a sawing motion with your knife as you chop through the bunch. 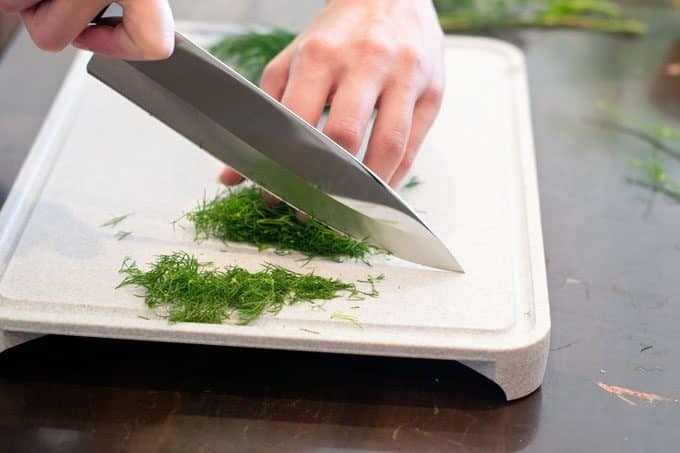 If you want it cut more finely you can move your knife back and forth over the cut dill to chop it fine. 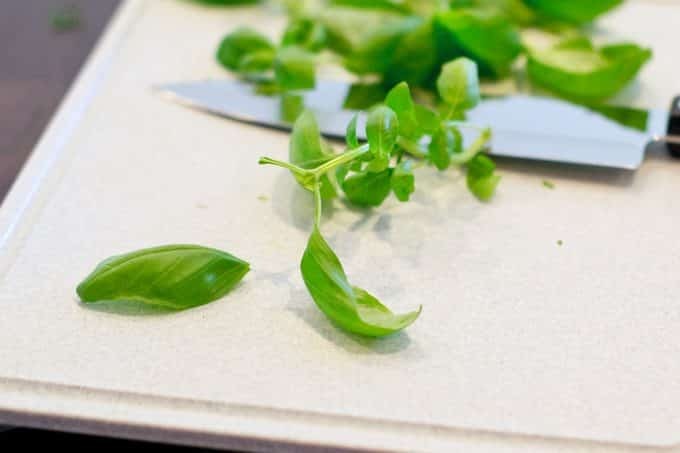 Last up is our basil, which we are going to cut into a chiffonade, which looks like little ribbons. 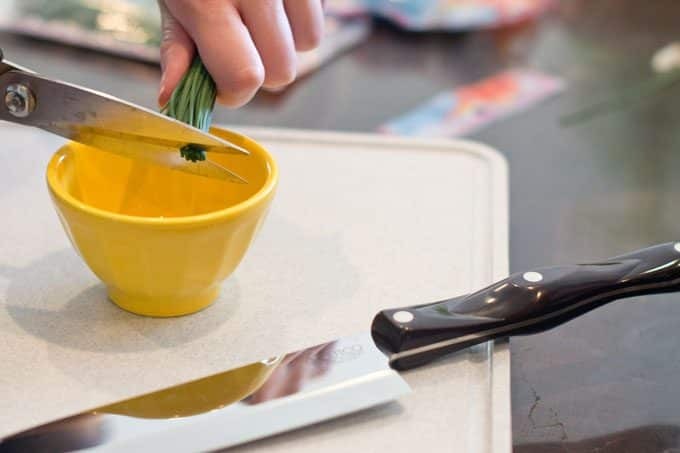 This chiffonade technique is used to prevent some bruising in delicate herbs. 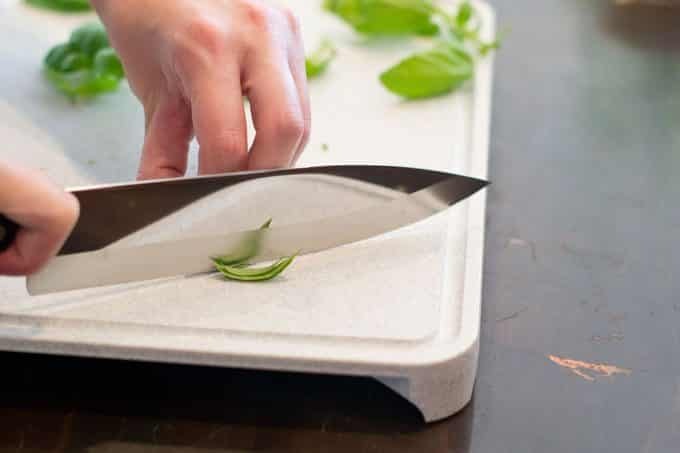 It works best for herbs that are leafy such that you can actually stack the leaves and roll them up, such as basil and mint. 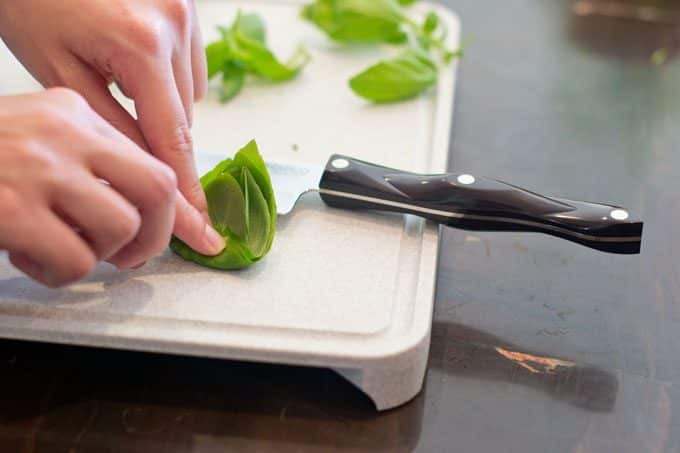 Pinch the basil leaves off the stem. 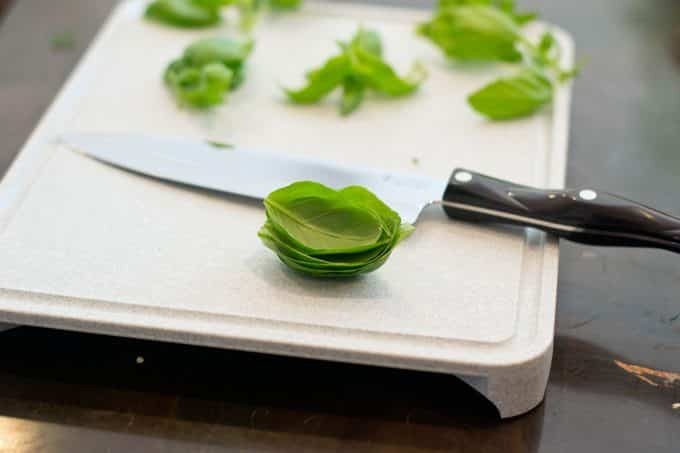 Since we are chiffonading we want to use large, uniform leaves of basil. Stack the basil leaves on top of each other. 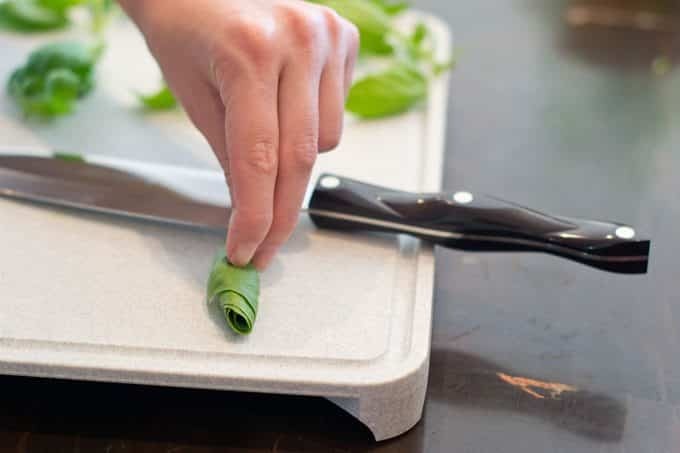 Start from the bottom of the leaves and roll into a tight cigar shape. 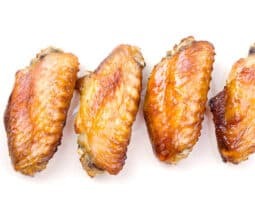 Holding the stack, make clean slices through the roll. 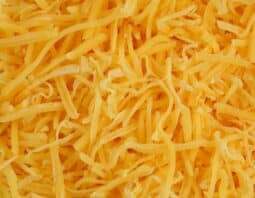 Keep slicing through the entire roll. Use your fingers to separate the ribbons from one another. Now you’r ready. 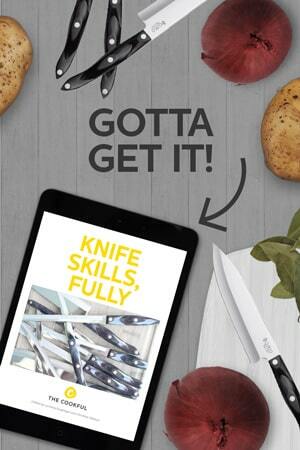 Grab your knife and your herbs and get chopping!